Hrm. badcompany.ea.com. 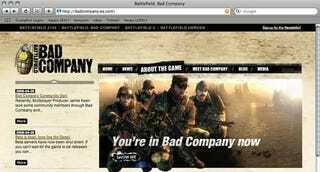 BadCompany.EA.com. Bad Company EA. Intentional? Accidental? Hilarious! Good thing they didn't use this JPEG, huh.